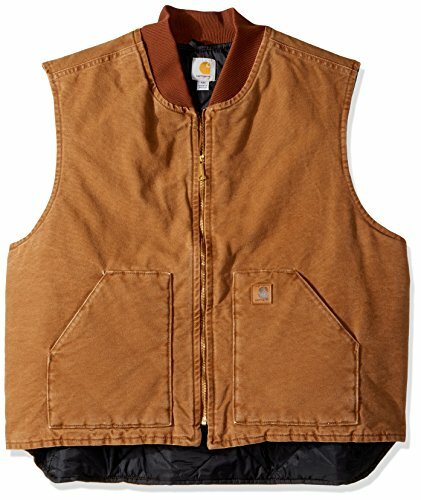 Layer up for warmth with carhartt's sandstone vest featuring a nylon lining quilted to arctic-weight polyester insulation. It's constructed of tough 12-ounce, 100 percent cotton sandstone duck. The front zipper is backed by a storm flap to help seal out the cold. Inside, there's a pocket with a hook-and-loop closure, and outside there are two hand-warmer pockets. In back, a drop tail adds coverage and warmth.